Nigeria – Iceland match ended in 2 – 0. This is the face of the man who brought smiles and laughter to the many Nigerians, who were almost losing hope in the World Cup. 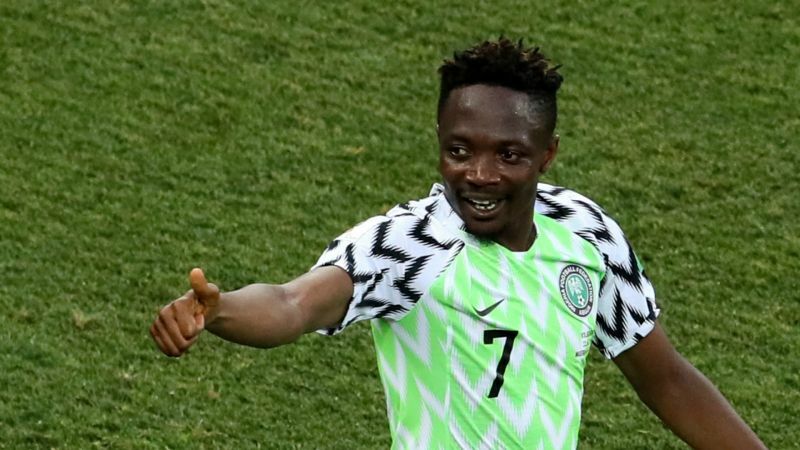 Ahmed Musa is the man of today’s Match with Iceland, scoring the 2 goals that gave Nigeria the ticket to face Argentina in their next game. It’s still the World Cup! Thank you, Nigeria, for winning against Iceland! simpledimple • This entry was posted in Articles, Blog and tagged Blogging, Daily Post, Football game, Iceland, International Affairs, Nigeria, Photo Challenge, Photography, Photos, Postaday, Russia2018, Weekly Photo Challenge, World Cup. Bookmark the permalink. Indeed, it was tensed but interesting. The win gave Nigeria hope again. So the people are happy and celebrating. This was a great match to watch!